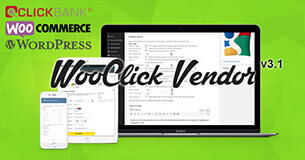 We are proud to announce the release of WooClick Vendor v3.0. 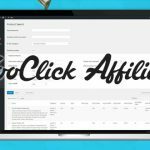 WooClick Vendor has undergone massive changes, with nearly everything being rewritten from the ground up. This has drastically improved WooClick, but does mean that links, pages and functions are all in different locations. To upgrade to WooClick Vendor v3.0, you will need to perform the following items. If you have any problems, please contact our support team who will be happy to perform the upgrade for you. 1) Visit the plugins page of your website and delete WooClick. You will not lose any data. 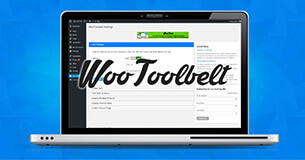 2) Upload the latest version of WooClick Vendor Plugin to the Plugins folder of your website. 3) Perform a hard refresh of your admin area (ctrl + F5 on windows machine). This is because the links for WooClick pages has changed, so needs to be refreshed. 4a) Login to https://watwebdev.com/clients/ and click on Services. A confirmation notice will display at the top of the screen. 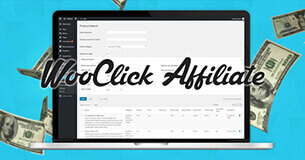 4d) Visit WooClick >> License within your website backend menu, add your license and click on submit. You are now fully upgraded. If you experienced any issues with any of the items above, please contact our support team who will be more than happy to assist you. We have included custom coding to ensure maximum compatibility with LearnDash, Sensei (by WooThemes), WooCommerce Membership (by RitePress), WooCommerce Memberships (by WooThemes / SkyVerge) and YITH WooCommerce Membership (by YIThemes). 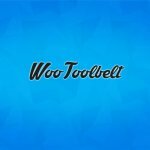 We have also included general compatibility so that WooClick will work with any other properly coded WooCommerce Plugin. The IPN script has been completely re-written and improved on every level. The new code is smaller and faster. It also includes many fallback options to cover times that Clickbank have a delay or issue with their IPN. Each step of the order process now fully utilizes as many WooCommerce hooks as possible. 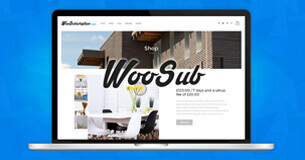 This helps to fully integrate each step of the process with WooCommerce. In case if Cancel on Refund transaction received, plugin will try to find an order with same transaction ID, update totals and set status to “refunded”. Core actions will be fired. For recurring subscriptions, on initial sale a new order will be created with rules. 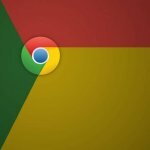 For each recurring product in order, a cron task will be added. Time to run this task will be next payment date + 1 hour. If cron task fired, this is mean that payment not received and the order status will be changed to “pending payment”. Also order note will be added. On normal flow, when a Rebill payment is received, plugin will look up scheduled cron task and cancel it, then set new one +1h again. It will be repeated while payments left counter is greater than 0. Each time that actions are fired, reports are updated. While changing the IPN coding, we also changed the coding for the thank you page so that customers can be provided with correct and logical messages if Clickbank are experiencing a delay or issue with their IPN. For example, if WooClick has not received the IPN by the time the customer visits the thank you page, the customer will be informed “Your order has been placed successfully. Once we get payment confirmation we will notify you”. If you experience any issues with WooClick v3.0, please contact our support team who will be happy to assist you.